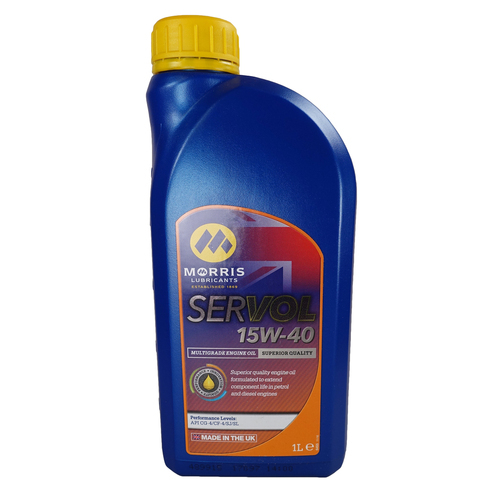 A high quality and high performance 15W-40 engine oil for lubrication of petrol and diesel engines. 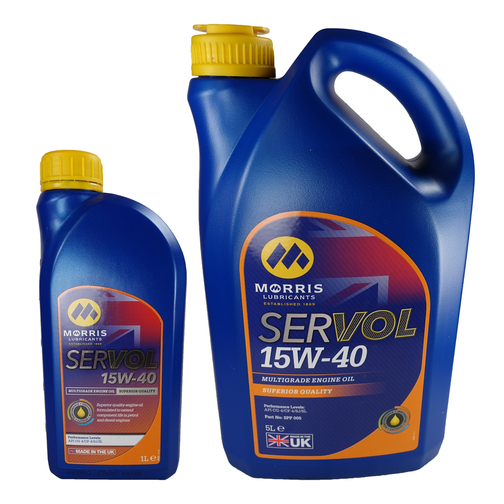 Morris Servol Performance Plus 15W-40 Engine Oil is a high quality and high performance 15W-40 engine oil for lubrication of petrol and diesel engines. 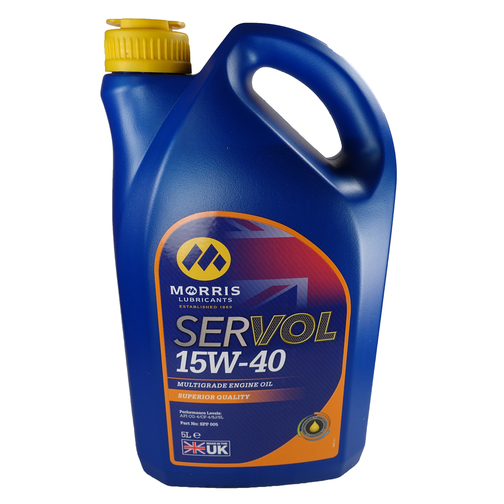 This 15W-40 engine oil provides a high level of engine cleanliness and controls the formation of high temperature lacquers and low temperature sludges. Please note: It is important to consult the engines operation manual for specific measurements and oil requirements.